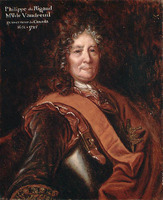 VETCH, SAMUEL, commander of the garrison at Annapolis Royal, governor of Nova Scotia, and proponent of a plan for the conquest of New France; b. 9 Dec. 1668 (o.s. ), in Edinburgh, Scotland, second son of William Veitch, a leading Presbyterian minister, and Marion Fairly Veitch, of Edinburgh; d. 30 April 1732 in London. At the age of 15, Vetch and his brother William were sent to Holland to join their father who had fled Charles II’s persecution of the Covenanters. There they studied at Utrecht until they joined the forces of William of Orange bound for England in 1688. Vetch later acquired military experience in the battles of the War of the League of Augsburg, rising to the rank of captain. At war’s end, he sailed in the ambitious Scottish expedition to Darien (Central America), was elected to the council of that ill-starred colony, and in August 1699 arrived in New York with the starving survivors of the project. His commanding presence and natural gifts earned him easy acceptance amongst the merchant families of New York. In late 1700 he married Margaret, sister of John Livingston and daughter of the prominent Scottish merchant, Robert Livingston, Lord of the Manor of Livingston, member of the New York council, and holder of important posts in Albany. Vetch shortly began a lucrative, though illegal, trade with New France. 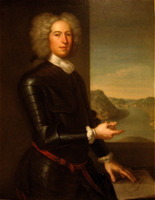 Disclosure of his ventures, combined with political disruption of the colony and the outbreak of Queen Anne’s War (War of the Spanish Succession), occasioned his removal to Boston, where by 1705 he could see the possibility of undertaking new trading ventures to Canada under the cover of negotiations for prisoner exchange. 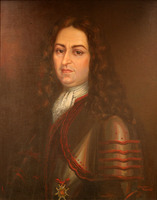 Governor Dudley entrusted him with returning Augustin Le Gardeur de Courtemanche to Quebec in the summer of 1705; the latter was carrying Dudley’s reply to proposals made by Governor Rigaud de Vaudreuil. Vetch used the opportunity to assess the resources of New France and to attempt to re-establish trading connections. He eventually found opportunities for trade in Acadia. Combining trade with espionage, Vetch and other Boston ship-captains continued their activities until public outcry forced an end to this illegal trade. Many people were alarmed that weapons were among the articles going to Acadia. Tried and convicted by the Massachusetts General Court in 1706, Vetch went to England where, the following year, he obtained acquittal from the Privy Council on the grounds that the Massachusetts legislature had exceeded its authority. At once Vetch advanced a larger project to Queen Anne’s court; nothing less than the conquest of New France. With unusual breadth of view, he combined the schemes of 1690 and New England’s efforts against Acadia in a sweeping paper, “Canada Survey’d,” submitted in July 1708, in which he outlined the advantages and strategy of totally defeating France in the New World. Supported by friends he had made among the Whig lords and by letters from several colonial governors, Vetch won the queen’s approval for the “Glorious Enterprise,” a commission as colonel, and the promise of the governorship of Canada after it was taken. With former Virginia governor Colonel Francis Nicholson as a volunteer, Vetch returned to Boston in April 1709 to get the support of the colonists for the expedition while impatiently awaiting the arrival of the promised British ships and sailors. Only in October did the dismal news come to the angered colonists that the enterprise had been cancelled owing to the demands of the war in Europe. Vetch, discredited, urged renewal of the plan, and Nicholson bore the colonial protests to England. Nicholson returned in the spring of 1710, authorized to make a limited attack against Port Royal in Acadia, with Vetch designated to be commander of the conquered area. The French commander, Daniel d’Auger de Subercase, whose forces were vastly outnumbered, yielded after a brief struggle and early in October Vetch assumed command at Port-Royal (now renamed Annapolis Royal); the post amounted to little more than control of a small area around the fort, in the midst of hostile French inhabitants. The major part of the New England force departed in mid-October and Vetch was left with 200 marines and 250 colonial volunteers. The first winter at Annapolis Royal proved difficult. The fort was in a state of disrepair, necessary supplies were hard to come by, and the Acadians, sensing the precariousness of the British position, became more and more intractable. 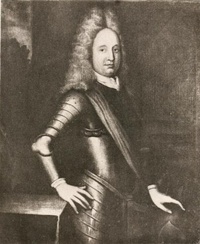 Vetch returned to Boston in January 17 10/11 to seek help for his garrison, only to find that rumours were spreading that he was using his position for personal profit. He angrily denied the charges and finally managed to obtain some support for his post in the form of supplies. Returning to Annapolis Royal, he found the garrison reduced in number (now little more than 200 men) and discouraged about its situation. The Acadians and Indians were becoming more openly hostile. He began to send appeals to the New England colonies for reinforcements and continued to urge the complete reduction of Canada. In June 1711, Vetch received news that a British regiment, supported by a large force of naval vessels, was ready in Boston and that preparations were being made, on the authority of the new Tory ministry, to revive the strategy he had advocated. Vetch was recalled to Boston and left Sir Charles Hobby in temporary command at Annapolis Royal. The force sailed for Quebec on 30 July, under the command of Admiral Sir Hovenden Walker, with Brigadier-General John Hill as commander-in-chief of the landing forces, and Vetch as commander of the New England troops. Familiar with the St Lawrence, Vetch was asked to lead the fleet, but Walker had not relinquished the van when contrary winds and poor seamanship put nine ships on the rocks off the Île-aux-Oeufs in the Gulf of St Lawrence. The admiral, unenthusiastic from the start, needed no further excuse to abandon the enterprise, though Vetch used all his powers of persuasion to urge the still powerful force to resume its course. After passing another hard winter at Annapolis Royal, Vetch learned early in the summer of 1713 that the Tory government in England had appointed Nicholson to replace him. When Nicholson arrived in the fall with a commission as governor, Vetch found that his former comrade-in-arms had turned against him and, following Vane’s complaints, was attempting to have him charged with maladministration at Annapolis Royal. To counter these accusations and collect what the government owed him, Vetch sailed for England 16 April 1714, leaving behind his wife and two children, Alida and William. With the accession of George I and the appointment of a Whig ministry, Vetch was able to discredit the arbitrary Nicholson, justify his management of Nova Scotia, and win the governorship in January 1714/15, but he never returned to America. He was often called to advise the Board of Trade on general matters concerning America, or on the troublesome problems of his own government. Superseded by Governor Philipps* in August 1717, he devoted his final years to futile proposals for developing Nova Scotia, petitions for vacant colonial governorships, and efforts to collect his accounts. Margaret Vetch joined her husband in England in 1717 and remained with him until his death while a prisoner in King’s Bench for debt. He was buried at St George’s Church in Southwark (London). Samuel Vetch was one of the few prescient Britons of his time to catch a vision of the imperial future and draw colonists and crown together in plans of action which could command the support of both. He clearly outlined the new resources of forests and furs that would provide commercial opportunities for Britain in Canada. After the capture of Nova Scotia he worked tirelessly for its development, both while he held its command and afterwards when he made personal proposals in London. Throughout his life Vetch saw the relationships between his own interest and the growing administrative, financial, and military problems of the empire. He helped provide the spark that replaced the French empire in Canada by British dominion. The Historic Sites and Monuments Board of Canada under the chairmanship of Dr. J. C. Webster erected a monument to Vetch in 1928 on the ramparts of the old fort at Annapolis Royal. Large portraits of Vetch and his wife hang in the Museum of the City of New York. Vetch’s personal letters are found among the Robert Livingston papers in the Livingston-Redmond Coll., Roosevelt Library, Hyde Park, N.Y. Copies of his official correspondence are in his Letter Book, Museum of the City of New York; see also BM, Sloane MS 3607, and PANS, MS docs. V, VII, VII½. Some of the Vetch papers are found in the New Brunswick Museum, Webster Coll., shelf 40, pkt.63-65. A letter from the citizens of Port-Royal complaining of harsh treatment by Vetch can be found in AN, Col., C11D, 7, f.68. Printed sources include: Coll. doc. inédits Canada et Amérique (CF), I (1888). Coll. de manuscrits relatifs à la N.-F., II, 448–51. “Correspondance de Vaudreuil,” APQ Rapport, 1938–39. N.S. Archives, II. N.S. Hist. Soc. Coll., I (1878), IV (1884). NYCD (O’Callaghan and Fernow), III, IV, V, IX. PRO, B.T. Journal, 1704–1708/9, 1708/9–1714/15, 1714/15–1718, 1718–22, 1722/23–1728; CSP, Col., 1706–8, 1708–9, 1710–11, 1711–12, 1712–14, 1714–15, 1716–17. Walker expedition (Graham). DAB. DNB. Brebner, New England’s outpost. Murdoch, History of Nova-Scotia, I. G. M. Waller, Samuel Vetch, colonial enterpriser (Chapel Hill, N.C., 1960) should be consulted for a detailed bibliography on Vetch; see also Waller, “Samuel Vetch and the glorious enterprise,” N.Y. Hist. Soc. Q., XXXIV (1950), 101–23. D. C. Harvey, “History in stone and bronze,” Dalhousie Review (Halifax), XII (1932–33), 69–76. G. M. Waller, “VETCH, SAMUEL,” in Dictionary of Canadian Biography, vol. 2, University of Toronto/Université Laval, 2003–, accessed April 22, 2019, http://www.biographi.ca/en/bio/vetch_samuel_2E.html.